Yatagarasu, the three legged crow. 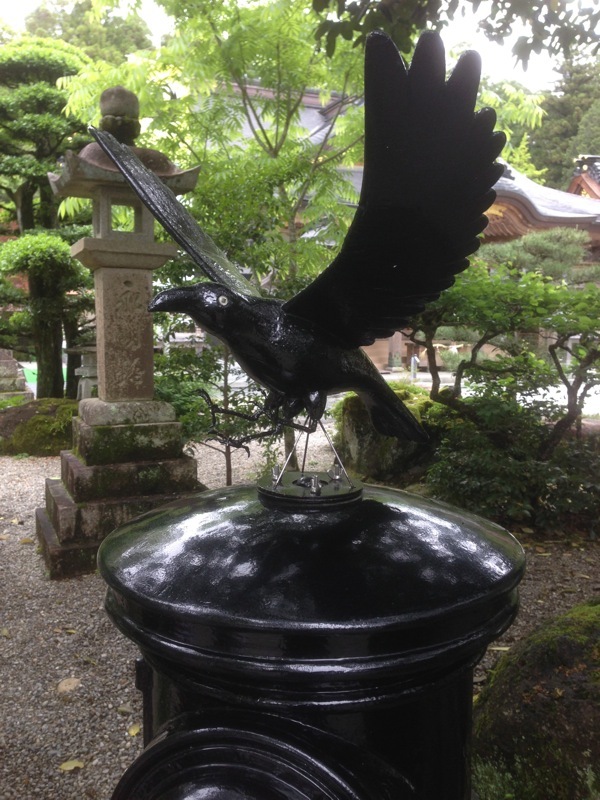 It is told the crow embodies the spirit of the sun and was sent from heavan to guide Emporor Jimmu on the Kumano trail back in 600 bc. Now Yatagarasu makes and appearance on Japans Wolrd Cup logo.